A lot of universal truths and life lessons can be found in old episodes of Seinfeld. 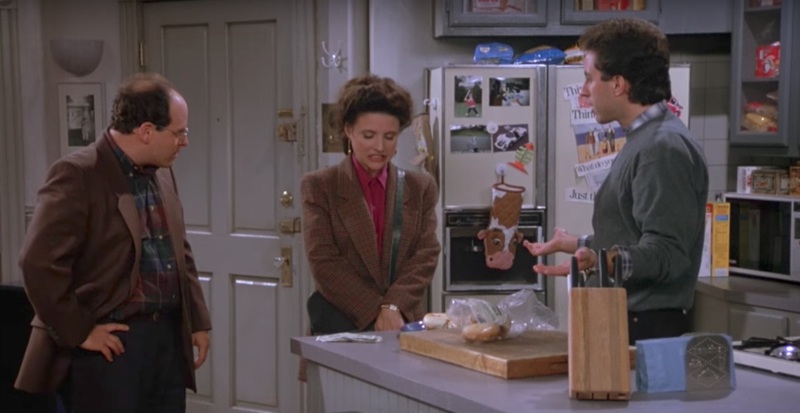 But in the episode The Contest, the famous ‘90s sitcom may have missed some subtle differences between men and women when it comes to being “master of your domain,” according to a large study on sexual preferences. In the episode, the main characters make a wager to see who can hold out the longest without masturbating, i.e., remain “queen of the castle.” The characters struggle with temptations—Kramer glimpses a naked exhibitionist in the apartment across the street, while Elaine splits a cab with the handsome John F. Kennedy Jr. Both characters give in to their desires, abdicate their chaste rule, and drop out of the contest. In the end, Kramer lands in bed with the exhibitionist, while Elaine misses a connection with her dreamboat. But, according to the new study, it might be more realistic if their fortunes were reversed.